Welcome to the Trinity Lutheran Church Library Online Catalog. You can now search online for books in the Trinity Lutheran Church Library. We will make improvements as we discover better ways to present the online catalog. 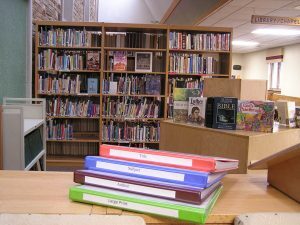 You are always able to view the catalog in print form at Trinity Lutheran Church on top of the Primary shelves in the Library area. Please click on the catalog link you would like to open.